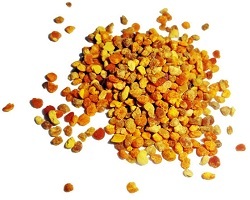 A lot of us are interested to know more about bee pollen health benefits and its application. I have the privilege of asking Angela, the owner of bee-pollen-buzz.com several questions related to the topic. 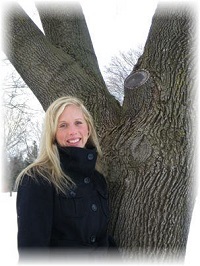 As a beekeeper's daughter, she has been taking bee pollens since she was a baby. Her experience with this super-food really amazes me. Below records my interaction with her. Q: 1) When and how did you start using bee-pollen? A: I started using bee pollen as a small child - I can remember taking it by the time I reached Kindergarten age. Each morning for breakfast, my Mom would sprinkle it on my granola in the morning as she was a firm believer in bee pollen health benefits. I know my Mom took it when she breastfed me as well. Q: 2) I am very keen to know more about bee pollen health benefits. How have you personally benefited from the use of bee pollen? A: I have personally benefited from using bee pollen in that I seem to be able to live an unusually healthy life. I've only been sick once in the last 8 – 10 years and I'm sure the bee pollen combined with my healthy lifestyle keep my immune system functioning at an optimal level. I also seem to be able to handle a tremendously high physical workload. For example, I run, weight train, cycle or do yoga seven days a week virtually 365 days a year. My husband, who is a sports nutrition fanatic, swears that he's never seen anyone handle such a training load without complete physical breakdown! I attribute much of this to my long term use of bee products such as pollen and raw honey. Q 3) Bee pollen health benefits are very appealing, but some people have some negative reactions about its taste. How would you describe the taste of bee pollens? A: I would have to say that Bee Pollen tastes bitter sweet. It's certainly not considered delicious by most people who begin taking it. But I've seen and heard from countless people who didn't like the taste at the beginning but grew to really enjoy it. My husband Mark is a perfect example of this – he struggled at first but now he finds it almost has a sweet taste to it. Q: 4) Do you have few fast tips on how to look out for good quality bee pollen? A: The best tip I can give to people is to know your source. Where did it come from? Was it sourced from near an industrial area? If so, you can almost count on industrial contaminants and heavy metals being in the pollen. Try to find a pollen source that is as far away from industry as possible. Northern Canada is a great place as it New Zealand. And don't be tricked by the ‘organic label'. We've tried to source organic pollen many times and there are many greedy suppliers out there just looking to capitalize on this buzz word. Just because it says it is organic doesn't mean it's high quality. Believe me when I say there are different standards for different certification organizations. Also, if your pollen is very inexpensive to buy, chances are it is cheap off-shore pollen. We've had issues with suppliers blending quality Canadian pollen with cheap, off shore pollen in order to save money. Q: 5) What's your favourite bee pollen recipe? Why? Could you share with us the ingredients and preparation steps? A: My favourite Bee Pollen Recipe is the Super Smoothie. Blend until liquified, but don't over blend as some of the nutrients may be damaged or lost due to the heat of the blender. When I do this in the morning, I am buzzing with energy all day! End of "Fascinating Bee Pollen Health Benefits". Back to "Bee Pollen's Healing Power".